QUEZON CITY, Philippines - March 5, 2018 - PRLog -- The Optical Media Board (OMB), the Philippine agency tasked to uphold intellectual property rights in the production, use, and distribution of optical media, recognized ABS-CBN Global, Ltd. Philippine branch (ABS-CBN Global) as one of the most compliant exporters in the Philippines at the agency's 14th anniversary held recently at the Luxent Hotel in Quezon City. 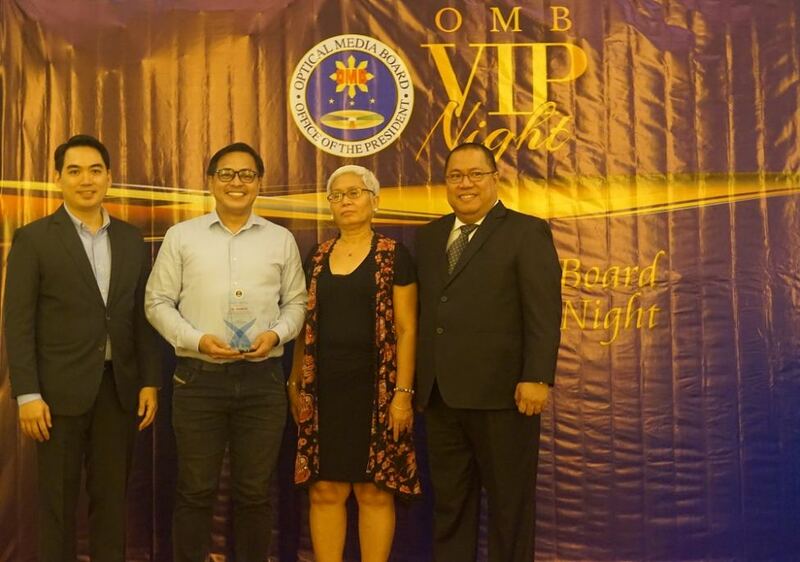 As part of the agency's celebration of over two decades of service, OMB recognized ABS-CBN Global's efforts in adhering to OMB's mandate and for complying with its rules and regulations including license and permits application. ABS-CBN Global was awarded among a total of 58 other awardees from both the public and private sector that also included ABS-CBN's film production and distribution arm, ABS-CBN Film Production Inc. (Star Cinema), as one of the most compliant local entities under the commercial category. OMB Chairman and CEO Atty. Anselmo Adriano thanked partners, local government units, and private sector partners for their past efforts and looked forward to more collaboration: "We hope to work with you in more years to come." ABS-CBN Global currently reaches out to Filipinos overseas, via its subsidiaries and affiliates outside the Philippines, through content such as movies and programs that comply with OMB and other applicable agencies' guidelines prior to their broadcast and distribution overseas.